Children’s Theatre Workshop is a nonprofit, 501c3 organization. CTW offers an inclusive environment for youth of all backgrounds, cultures, and lifestyles where they have the opportunity to study many aspects of theatre arts, develop valuable life skills, and produce quality plays. Check out our latest news in the January 2019 newsletter. CTW offers a number of special programs in live theater for Toledo and area youth. Our program teaches theatrical techniques through an informal, classroom-based structure, and promotes self-expression and teamwork. In the classroom we play theatre games, work on improvisational skills, study characterization, and explore our “self.” In the process we build esteem, self-confidence, public-speaking skills, and an awareness of a true teamwork effort—all “life skills,” useful in and outside of a theatrical context. The level of the games and applications is a function of the age of the class. We do not try to make professional performers out of the members—rather, we give them a taste of live theatre (as much as they want) so they can decide for themselves if and to what extent they might want to pursue the theatre either as a career or as a hobby. The Children’s Theatre Workshop programs are divided into four groups; The Early Stages (ages 3-6), The Players Company (ages 7–9), The Ensemble Company (ages 10–12), and the Teen Company (ages 13–18). Associated with all of these basic divisions we have full theatrical productions as part of the program experience. 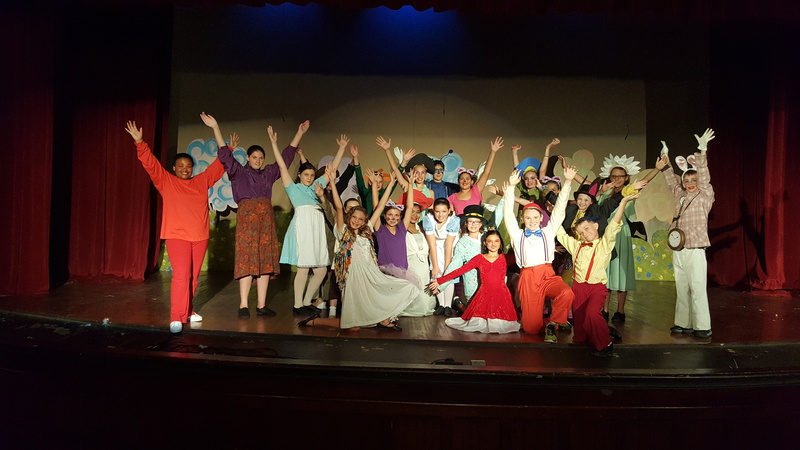 We also have a musical theatre program, specialty classes in theatre applications such as devising original theatre and technical theater, as well as a summer camp program. A few weeks of classes we hold auditions for our upcoming production. In all four of our companies, anyone who is in the classes is eligible to audition, and anyone who auditions gets a part in the show somewhere—after all, we are a theatre education organization! The Early Stages Company (for ages 5-6) present a small, 10-15 minute play at the conclusion of their classes. The Players Company (for ages 7-9) performs traditional children’s theatre, usually folk tales and fairy tales. Ensemble Company (for ages 10-12) produces original works written by the students of the Ensemble under the guidance of Executive Artistic Director Aimee Reid. Teen Company (for ages 13-18) alternates between comedies and dramas, tackling the various challenges between finding the laughs and presenting thought-provoking work. Productions are twice a year for each company. Auditions occur a few weeks into classes, and rehearsals start shortly thereafter. Performances are after the 10 weeks of classes. These are usually major productions with lots of colorful scenery and costumes. This gives the cast a true theatrical experience. A note about all of our productions: All of the technical work—lights, sound, props, scenery, and the rest—is handled by the students in the program. Truly and totally “Theatre by children, for children” (of all ages!). Children’s Theatre Workshop was founded in 1954 through a collaboration between the University of Toledo’s chapter of the American Association of University Women and the Toledo Junior League, with the purpose of providing theatrical training for Toledo-area youth. Our unofficial motto is “theatre for children, by children” and we have accomplished this by providing classes and theatrical productions involving young people in all areas of theatre, from acting to directing to playwrighting to technical crew. As one of the oldest children’s theatres in the country, CTW has thousands of alums across the country and the world in a variety of careers like professional actors and actresses, musicians, attorneys, entrepreneurs, clowns, business executives, chemists, and teachers. CTW has redoubled its efforts to provide the best theatre experience for young people in the past few years especially, re-vamping its curriculum, regularly producing student-written work with the Ensemble’s Devising program, beginning renovations on the theatre space and classrooms, and greatly expanding our summer offerings. 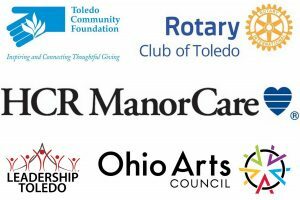 We have also made strides in collaborating with other Toledo-area organizations, partnering to offer theatrical performances and workshops for the Collingwood Arts Center, the Toledo Botanical Gardens, the Toledo Museum of Art, the Girl Scouts of Western Ohio, the Old West End Festival, and more! In addition to our most recent achievements, Children’s Theatre Workshop has enjoyed acknowledgments of excellence, including several recognitions by the Toledo Council, Toledo mayors, and the Lucas County Commissioners for our work with young people in theatre. We also were noted in Toledo Area Parent as the Best Theatre/Drama Classes for 2015, 2016, and 2017 (runner-up in 2013 and 2014) and voted runner-up for the Best Theater in the Toledo City Paper in 2013. Our Students Are From All Over the Greater Toledo Area!